Chewing gum is a very popular habit, but have you ever wondered – is chewing gum good for teeth? In actual fact, chewing gum can become an integral part of your oral health routine and as long as it’s sugar-free gum, it can have a number of benefits such as reducing tooth decay, neutralising your oral acids and also assisting in the mitigation of dental erosion. So, in this article, we’re going to list our top 5 reasons why chewing gum is great for your teeth. Dry mouth, otherwise known as xerostomia, is a particularly common condition in those that have absent or reduced saliva flow. While it’s not a serious disease, it can be a symptom of other medical conditions. By chewing sugar-free gum on a regular basis, you can stimulate the production of saliva in your mouth to prevent your mouth from drying up. This can help with symptoms from conditions like dehydration, diabetes or even certain diseases like Sjögren’s syndrome. Dental erosion is generally caused by the foods we eat. This is especially true for acidic foods such as fizzy drinks, lemons and other citrus fruits. Chewing a piece of gum after consuming food can reduce the chances of an acid attack by increasing the amount of saliva in your system. Certain sugar-free gums can actually neutralise the acid in your mouth by increasing the pH of your saliva. You’ll need to look for sugar-free gums that use Xylitol as the sweetener, in order to experience this benefit. 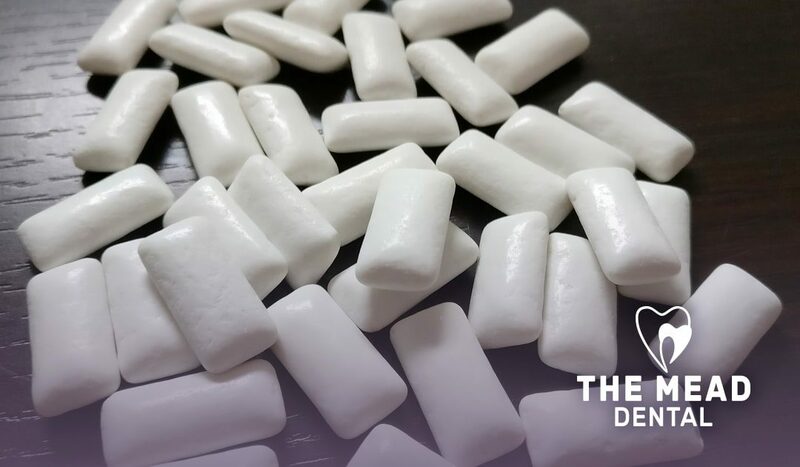 There are actually studies that have produced evidence of chewing gum reducing stress levels and also reducing the levels of cortisol in your system. Cortisol is known as the stress hormone and is usually present in high levels in your body when you are feeling stressed. Studies have also shown that by chewing gum, you can improve your concentration and cognitive performance. Chewing gum can also help you deal with bad breath by stimulating saliva production which helps to remove all kinds of debris between your teeth. Brushing your teeth regularly and correctly is the obvious go-to option to help you reduce the amount of debris between your teeth to stop bad breath. However, you can also chew gum between meals to help freshen your breath throughout the day while also preventing dental erosion. Tooth enamel can be remineralised by chewing sugar-free gum. It also helps to protect your teeth from tooth decay, which is one of the main causes of the enamel deterioration in the first place. Some chewing gum can even help to strengthen your tooth enamel, thanks to a substance known as casein phosphopeptide-amorphous calcium phosphate, or CPP-ACP for short. Finally, don’t forget that chewing gum should never be a replacement for good oral care. See our article on 10 oral new year’s resolutions, which lists some fantastic things to remember when it comes to caring for your teeth. And, of course, always ensure you visit your dentist every 6 months for a routine examination and hygiene treatment. Here at The Mead Dental, we also offer a new patient examination for those people looking for a new dentist in the Plymouth area. For more information, call our friendly team today on 01752 224880 or email info@meaddental.co.uk.